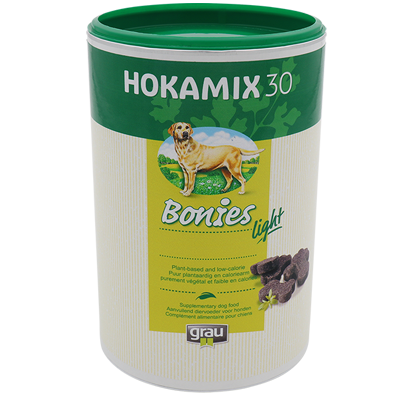 HOKAMIX30 is a natural dietary supplement consisting of 30 different components. 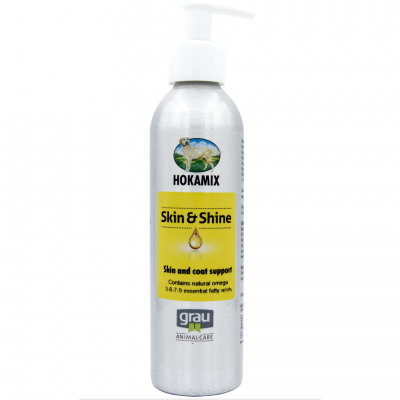 other hand it prevents diet-related deficiency symptoms. 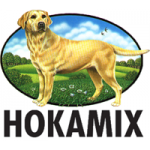 Since HOKAMIX30 can not be compared with usual mineral feed mixtures, any food can be enriched with this herbal mixture without any reservations. 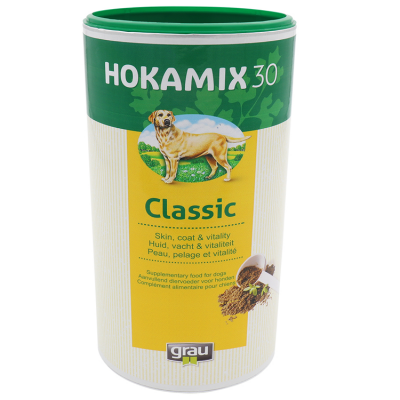 HOKAMIX 30 enables the dog to utilize the nutrients contained in the food. 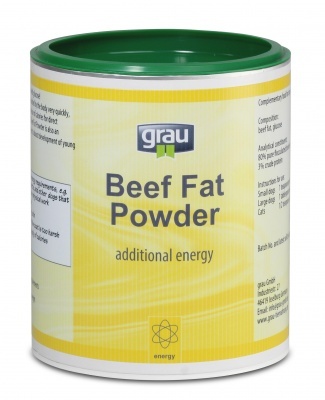 Native minerals (eg calcium, phosphorus, magnesium, sodium, potassium), trace elements (eg iodine, iron, copper, zinc, selenium, manganese, chromium), amino acids (eg Methionine, lysine, cystine) and vitamins (for example, carotene - pro vitamins A, D3, E, C, B1 - thiamine, B2, biotin - vit. H) are purely vegetable and have only one for the carnivore dog Low bioavailability. 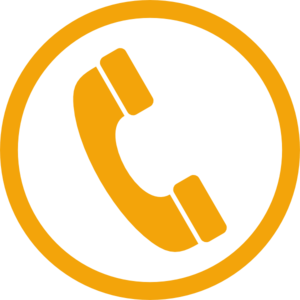 This means that they can hardly be metabolized. Therefore they do not have to be included in the ration. Dogs 5kg and more 2 bonies per day .